Huddled amidst the eastern part of the Kumaon Himalayas, the historical town of Champawat is located in the state of Uttarakhand. Perched at an elevation of 1615 m, Champawat offers picturesque views. The district shares a border with Nepal. It is famous for its temples and a number of historical monuments known for their interesting history and impressive designs and architecture. Champawat was reigned by the ruling clan of the Chand Dynasty in the medieval period. And according to the local folklore and legends, it is also at this place that Lord Vishnu incarnated in the form of a tortoise, called the 'Kurma Avatar', to restore the cosmic balance. The famous English naturalist and hunter Jim Corbett's book 'The Man-eaters of Kumaon' was based on some of the instances of tiger-hunting experience from this region of Kumaon Himalayas, making the place known and famous. One can explore the famous tourist destinations of Nainital and Almora which are located close to Champawat. 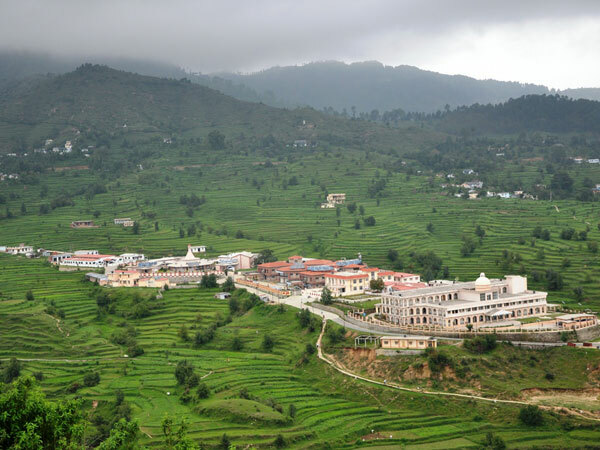 Given its elevation, Champawat experiences a pleasant to moderate weather throughout the year. Winters are most enjoyable here, with an average temperature of 14 degree Celcius. Summers are mostly pleasant. The cooler and enjoyable weather of Champawat makes it a popular tourist destination, especially during summer. By Road: The best way to reach Champawat is via roadways. A number of regular buses shuttle between Champawat and nearby major towns including Haldwani, Dehradun, etc., which in turn are well connected with bigger cities and towns like Delhi, Haridwar, etc. By Rail: The nearest rail head to reach Champawat is the Kathgodam Railway Station. The railway station is located at a distance of 175 km from Champawat. By Air: The Naini Saini Airport of Pithoragarh and the Pantnagar Airport are the closest airports, located at a distance of 80 km and 170 km respectively. Cabs can be hired from these airports to reach Champawat comfortably. Here are some of the places to visit in and around Champawat. Believed to be built around the 12th century by the rulers of the Chand dynasty, the Baleshwar Temple is an example of excellent artistry and stone carving craft. The temple is dedicated to Lord Shiva and every year on the occasion of Maha Shivratri a big fair is held in the temple. There are a number of temples to visit in and around the town for the interested ones. Discovered in 1993, Patal Rudreshwar is a cave located not too far from Champawat. It is believed that Lord Shiva had meditated in this cave to attain salvation, and there are many legends and stories associated with it. This 40 m long and 18 m wide cave is located near Barsi village and is well-connected via motorable roads with nearby major regions. Located about 14 km from Champawat, Lohaghat is another historical town established on the banks of river Lohawati. The hill station of Lohaghat is well-known for its abundant natural beauty and pleasant weather. There are a number of ancient temples for those interested in history, mythology, photography, etc. And there are a plenty of trekking and hiking trails in and around the town for the adventurous ones. Banasur Ka Kila is one of the famous tourist attractions near Champawat. This ancient fort is believed to be constructed somewhere during the Medieval period. Perched at an elevation of 1859 m, it offers stunning views of the surrounding Himalayan peaks and ranges. The fort is named after a demon from mythology - Banasur, who was slain by Lord Krishna. Historians, mythology, and photography enthusiasts will enjoy visiting this place. Apart from these, one can visit the famous destinations of Pithoragarh, Nainital, Almora or stone carvings at ‘Ek Hathiya Ka Naula', Barahi Temple, etc., or go trekking around the numerous trails around the region.